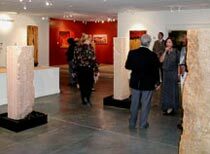 I am currently featured in a two-man show in Scottsdale with Chinese abstract painter Yi Kai. 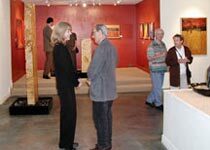 The photos below are of the opening reception on March 7, 2002; the show will continue through April at Asietique. See the Portfolio section for enlargements of the new works.